Dissolution of marriage and adoption are significant events that impact the family in different ways. I provide effective legal services for your needs. If you are involved in any family law issue, my office can help. I strive to resolve disputes, but recognize that many problems require litigation, such as parenting responsibility (child custody) disputes, in which case, the best interests of your children are my priority. I have the experience and empathy to guide you through any of your family law concerns. The Law Offices of Rachael Toft concentrates solely on the practice of family law. I handle every aspect of family law, including representation for individuals in a civil union or marriage, unmarried parents in parentage or child support cases, and adoptions. From drafting a prenuptial agreement to finalizing a divorce, I can help. I also handle modifications and enforcement of child support, modifications of parenting responsibilities (formerly child custody) or parenting time, and grandparent visitation. We offer the following services: Divorce, Parentage, Child Support, Allocation of Parental Responsibilities (formerly Child Custody), and Adoption. The breakup of a family relationship is a stressful time, both emotionally and financially. If you are planning for a divorce or your spouse has initiated a divorce, our offices can help. We strive to resolve disputes, but recognize that many issues or cases require divorce litigation. Issues that the Court will consider in a divorce or the dissolution of a civil union are the equitable division of property, maintenance, formerly known as alimony for the support of a former spouse, allocation of parental responsibilities (child custody), parenting time with the children, and child support. The final order in a divorce will be the Judgment for Dissolution of Marriage. Each issue in the divorce may be resolved through agreement with your spouse, which is approved by the Court, or by the judge's decision after a contested hearing or trial. The process of divorce may be contested or uncontested. Also, many spouses choose to participate in mediation prior to filing or divorce or during the process to resolve their differences, particularly related to allocation of parental responsibilities (child custody) and parenting time. We strive to prepare clients for the future and project realistic outcomes based on Illinois law. Even if you were never married to your child's parent, you have the right to receive child support or to visit your child. Parents who were never married are entitled to the same child support as parents who were married. The issues regarding parental responsibilities and parenting time also apply to unmarried parents. We can help you to establish paternity and child support. We can help you set up a parenting schedule that fits your family's needs. In most situations, child support payments are determined by Illinois child support statutes. Under present law, Illinois "guideline" support is 20% of your spouse's net income for one child, 28% for two children, 32% for three children, 40% for four children, 45% for five children and 50% for six or more children. These statutory guidelines can be affected by other factors including, but not limited to, custody awards or net worth. Effective July 1, 2017, the way child support is calculated will change. The current percentages will be replaced by income share approach. The Court will also consider uncovered medical or dental expenses, day care contribution, and allocation of college expenses. We also represent parents seeking to modify child support or to enforce the payment of child support should a parent fail to pay as ordered. Our greatest concern is what is in the best interest of the children in any approach to parenting responsibilities or parenting time. Various arrangements for parenting responsibilities and time can be worked out to maximize your child's well-being. During the course of the divorce, parental responsibilities of the child must be allocated. 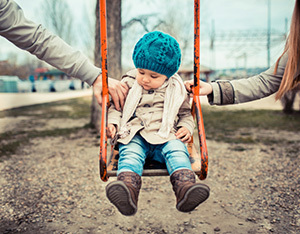 The Court may allocate parental responsibilities between one or both parents, and one parent will usually be designated as the parent where the children primarily reside. The other parent will have a parenting schedule with the children that may range from little contact to equal parenting time. Generally, parenting orders also include holiday and vacation time in addition to the regular parenting time. In any case involving minor children, parents will complete a parenting class to emphasize parenting after separation. Parents may agree to a parenting plan (formerly visitation) that the Court then approves as reflecting the best interests of the child. Parents may use a mediator, a neutral party, to facilitate the discussion with the ultimate goal of reaching an acceptable schedule without the necessity of trial. However, in the event that parents are unable to reach an agreement regarding parental responsibilities or parenting time, the Court may appoint an attorney for the child or a child custody evaluator. Cases that are unable to resolve custody and parenting time issues can be particularly contentious and the Court will ultimately make a decision regarding custody and parenting time. Child custody and parenting time may be modify in the event of a relocation or removal from the State of Illinois by the custodial parent, a substantial change in circumstances, or a serious danger to the child, or other situations. Should you wish to modify or enforce parenting responsibilities or parenting time, you would need to seek the Court's approval. Adoption severs the bond between biological parent and child and creates a new bond with an adoptive parent. Both single people and couples can adopt. A parent may consent to an adoption or there may be a termination of parental rights for unfitness. There are many situations in which an adoption may be an appropriate option. It is important to work with an attorney to correctly establish legal parentage through adoption. I can help you build your family through adoption. I have the personal experience and empathy to support you through your family-building process. I was ten when my family was licensed with the Department of Children and Family Services (DCFS). 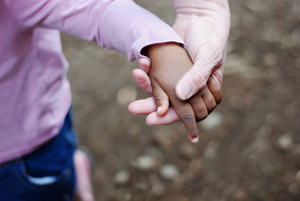 I am intimately familiar with the intricacies of building a family through foster care and adoption. For more than twenty years, my family has worked with DCFS to provide stability for children. 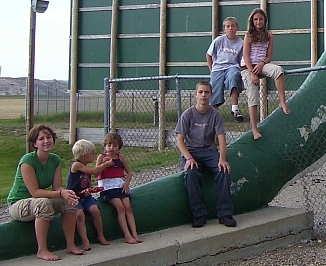 In addition to the over 50 foster kids that have been in my family, I also have six adopted siblings ranging in age from eleven to twenty-four. NOTE: These materials are provided by the Law Offices of Rachael Toft for informational purposes only and are not legal advice. Transmission of the information is not intended to create, and receipt does not constitute an attorney-client agreement or relationship between you and the firm. Do not act upon this information without seeking counsel.